The Cult have announced ‘Electric 13’, a worldwide tour that will visit ten UK cities this October. The Cult will perform ‘ELECTRIC’, raw and unfiltered on tour in 2013, an event branded as ELECTRIC 13. This will be a hot ticket as The Cult have never performed the album in its entirety. The live show will also include a second set pulling from the band’s eight other studio albums. 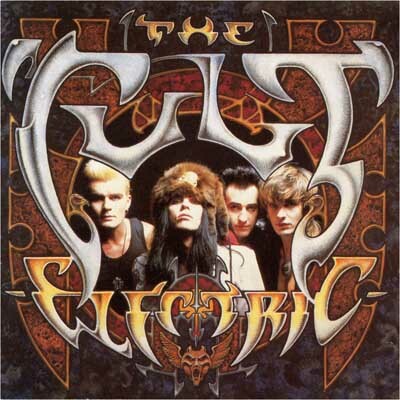 In 1987, The Cult released ‘Electric’, an album of stylistic change that aimed the band straight at the heart of the rock market. Recorded in New York City at the legendary Electric Ladyland studios and filled with the energy of the dirty NYC streets, together with a young producer named Rick Rubin, who resonated more with the hip hop world of The Beastie Boys, Run DMC, and Public Enemy; the band delivered an recording that has gone on to become one of The Cult’s most successful and influential albums, and as a follow up to “Love “, kicked the door wide open to a passionate new audience. ‘Electric’ went on to become the band’s first Platinum album. They quickly captured media attention featuring heavily in music and fashion magazines as well as becoming an MTV staple after dark and where spun heavily on radio coast to coast. Electric was supported by an incident filled world tour with Guns N’ Roses as the opener in North American. Beginning in January of that year, The Cult headlined in the U.K., Europe, the U.S., Canada, and Australia, opened select dates for Iggy Pop and David Bowie, returning at the end of the year to sell out Wembley Arena and Brixton Academy in London. Tickets will be available from 9am on Friday May 17th via www.kililive.com and www.seetickets.com. Phone: 0844 871 8803 and venue box offices. via The Cult announce ‘Electric 13’ world tour – Music-News.com.